Do you need a little help keeping your house clean? I know I do. 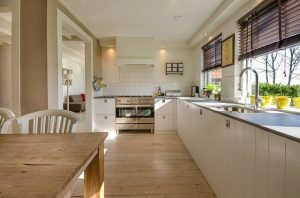 I have three children and let’s face it, it is HARD to keep a house clean with a toddler running around the house and big kids running from activity to activity. Make a chore list. Keep a list of all of the chores that need to be done and follow it. If you are anything like me, you sometimes forget things (even if they are right in front of you), having things listed out, helps with that. Enlist the family’s help. You are not the only one that lives there, you are not the only one that should be cleaning it. Make a cleaning schedule. In addition to listing out the chores that need to be done, make a schedule of what chores will be done each day. This helps to ensure that it all gets done. Unload the dishwasher right away. I have found that a great way to keep my kitchen clean is by clearing out the dishwasher the minute it is done. That way whenever a dish gets dirtied up it can go straight into the dishwasher and not dirty up the sink or counter. Fold laundry right away. Laundry is my housekeeping downfall. It really can be the difference between my house being cleaned and a disaster. I have found that if I fold my laundry the minute it comes out of the dryer, my house stays much cleaner and less cluttered. Keep cleaning cloths/wipes handy. Always keep cleaning cloths and/or wipes within easy reach in the kitchen. This way you can easily wipe up any messy spills right away.